24/04/15 -- Soycomplex: Beans, meal and oil all closed lower on the day, but virtually unchanged for the week. The trade seems to be trying to balance the positive impact of renewed strike action in Brazil against improved production prospects, the advancing harvest in South America and the worsening US bird flu situation. Argentina's Ag Ministry now estimate the nation's 2014/15 soybean crop at a record 59.0 MMT versus a previous estimate of 58.0 MMT and the 2013/14 crop of 53.4 MMT. The Buenos Aires Grain Exchange estimated the soybean harvest in Argentina to now be 46% complete. up 13.5 percentage points in a week and 3.5 points ahead of this time last year. They have production estimated slightly lower than the government at 58.5 MMT. The IGC yesterday increased their forecast for the Argentine crop by 1.5 MMT to 58 MMT and added 1 MMT to their outlook for Brazil at 94.3 MMT. A Bloomberg survey of 17 traders found only two that were bullish on soybean price prospects going forward, 12 were bearish and 4 neutral. Stats Canada yesterday estimated the 2015 Canadian canola area at 19.416 million acres versus an average trade estimate of 20.2 million and the 2014 area of 20.325 million. Soybean plantings also came in below expectations at 5.375 million acres versus the average estimate of 6.0 million and the 2014 area of 5.562 million. That would be the first decline in Canadian soybean plantings in 8 years. Monday brings the usual weekly export inspections numbers from the USDA. Inspections last week were modest at 147,939 MT versus 450,365 MT the previous week. It is unclear whether there will be any inclusion of soybeans in Monday's planting progress report, with corn planting behind schedule they may elect to delay those for beans for another week. The weekly commitment of traders (COT) report shows fund money cutting their net short position in beans to around 47,500 lots. May 15 Soybeans closed at $9.69 3/4, down 8 1/2 cents; Jul 15 Soybeans closed at $9.70 3/4, down 9 1/4 cents; Sep 15 Soybeans closed at $9.56 1/4, down 9 1/4 cents; May 15 Soybean Meal closed at $314.60, down $2.00; May 15 Soybean Oil closed at 31.67, down 35 points. For the week, front month beans added one cent, meal fell $0.40 and oil gained 15 points. Corn: The corn market closed lower on the day and for the week. Bird flu has been the over-riding bearish factor this week, it has now been found in at least 60 commercial poultry flocks in the US. "The majority are turkeys, and Minnesota, the nation’s top producer, has been hit hardest with an estimated 2.6 million causalities," reported Bloomberg. Argentina Ag Ministry estimated the country's 2014/15 corn crop at 30.0 MMT, unchanged from their previous estimate. The IGC agree with them at 30 MMT, although others aren't as bullish. The Buenos Aires Grain Exchange go for 23 MMT, unchanged on a week ago. They say that the harvest there only advanced 1.5 percentage points on a week ago to 25.7% complete. MDA CropCast go for production of 23.5 MMT in Argentina this year. They cut their outlook on the world 2015/16 corn crop by 2.4 MMT from a week ago to 951.7 MMT, representing a 2.4% fall on a year ago. That was mostly down to a 2.6 MMT reduction in Ukraine where they now go for a crop of 24.3 MMT, a 14.4% decline compared to last year. They also trimmed back their outlook on the US a little, down to 13.822 billion bushels. The IGC yesterday estimated the 2015/16 global corn crop at 951.0 MMT, up 10 MMT from a previous estimate of 941.0 MMT, but down 4.3% compared to the 2014/15 production of 994.0 MMT. Ending stocks were also seen up 10 MMT from a month ago at 181 MMT, although again that's down from 198 MMT in the current marketing year. Stats Canada yesterday estimated Canadian corn plantings this year at 3.689 million acres versus an average trade estimate of 3.1 million and up almost 20% compared to the 2014 area of 3.078 million. South Korea's KOCOPIA were said to have bought 53,000 MT of European origin corn for August shipment. Ukraine said that they had exported 14.1 MMT of corn so far this season compared to 18.4 MMT this time a year ago. Russia said that growers there had planted 18.6% of this year's anticipated corn crop. The trade is thinking that the US might have planted around 20% of it's expected corn area in Monday night's crop progress report from the USDA. It was 9% done a week ago. A Bloomberg survey of 17 traders found 5 that were bullish on US corn price prospects, 10 were bearish and 2 neutral. The latest COT report shows fund money net short more than 65k corn contracts as of Tuesday night, around 17k more than a week ago. May 15 Corn closed at $3.64 1/2, down 6 1/4 cents; Jul 15 Corn closed at $3.69 3/4, down 7 cents. For the week front month corn shed 15 1/4 cents. Wheat: The wheat market closed with double digit losses on the day and mixed for the week. The world wheat crop seems to be trending lower for 2015/16, with the IGC yesterday knocking 4 MMT off last month's production estimate to 705 MMT. Those losses came courtesy of India, China and Argentina, although there were increases for the EU, Russia and Ukraine. MDA CropCast trimmed their outlook by 1.8 MMT from a week ago, largely thanks to a reduction of the same magnitude for Kazakhstan. They also reduced their outlook for the 2015/16 US winter wheat crop by 41 million bushels from a week ago to 1.5 billion bushels due to dryness on the Central Plains. Stats Canada said yesterday that the nation's all-wheat acres are expected to see an overall 3.9% increase to 24.765 million acres in 2015. The average trade guess was 24.2 million and the 2014 area was 23.835 million. Lanworth estimated the 2015 Canadian all wheat crop at 31.1 MMT. The IGC yesterday said 30.0 MMT versus 30.4 MMT previously and 29.3 MMT a year ago. MDA CropCast only see Canada at 28.3 MMT this year. Stats Canada forecast that barley plantings are expected to increase 10.2% to 6.478 million acres, after reaching a record low 5.880 million in 2014. The average trade guess for those though was 6.7 million. Ukraine said that they'd exported 9.9 MMT of wheat so far this year versus only 8.2 MMT this time a year ago. Barley exports are also up at 4.3 MMT versus 2.2 MMT in 2013/14. A Bloomberg survey of 17 traders found 5 that were bullish on US wheat price prospects, 5 were bearish and 7 neutral. Monday night's crop progress and condition ratings for wheat will make interesting reading, given that many were expecting a 2 point improvement in winter wheat last week. They didn't get that last week, with the USDA leaving things unchanged at 42% good to excellent. The crop maybe didn’t have enough time to show the benefits of rains late the previous week, suggested Benson Quinn at the time. Maybe that improvement will therefore come this week? What we do know from last week is that spring wheat plantings are racing ahead, at 36% done versus 17% the previous week, 19% for the 5-year average and only 9% complete this time last year in last Monday's report. Look for that trend to continue this week. 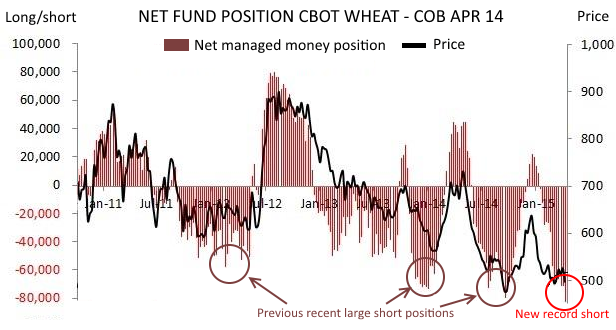 Fund money added to their record Chicago wheat short position in the week through to Tuesday night the COT report shows. May 15 CBOT Wheat closed at $4.86, down 11 3/4 cents; May 15 KCBT Wheat closed at $5.02 1/4, down 14 1/4 cents; May 15 MGEX Wheat closed at $5.35, down 10 1/4 cents. For the week that puts the Chicago market 8 1/2 cents lower, with Kansas wheat down 30 1/2 cents and Minneapolis a net gainer of 2 1/4 cents. 24/04/15 -- EU grains closed lower on the day, and mixed for the week. The day ended with May 15 London wheat down GBP1.90/tonne at GBP113.40/tonne, May 15 Paris wheat closed EUR2.00/tonne lower at EUR183.00/tonne, Jun 15 Paris corn was EUR1.25/tonne lower at EUR160.75/tonne and May 15 Paris rapeseed was down EUR3.00/tonne at EUR375.50/tonne. For the week overall that puts London wheat GBP1.90/tonne lower, with Paris wheat gaining a modest EUR0.25/tonne. Paris corn fell EUR2.00/tonne compared with last Friday and rapeseed was EUR1.50/tonne firmer. The pound continues to run close to the 1.40 level against the ever-weak euro, reducing the effectiveness of UK wheat on the export market relative to material on the continent. The IGB yesterday trimmed 4 MMT off their forecast for the world 2015/16 wheat crop, reducing that to 705 MMT, a 2.2% decline on production a year ago. Ending stocks were reduced 2 MMT to a still ample 194 MMT. As ever, it is important to note where the changes are coming from. The global 2015/16 balance sheet contained anticipated production increases versus last month's forecasts for the EU-28 (up 1 MMT to 148.2 MMT), Russia (up 0.6 MMT to 52 MMT) and Ukraine (up 0.4 MMT to 20 MMT). Wheat production potential for the season ahead was lowered in India (down 3.7 MMT to 94 MMT), China (down 2 MMT to 118 MMT) and Argentina (down 1 MMT to 12.5 MMT). The 2015/16 export potential for the EU-28 was increased from 30.8 MMT to 31.6 MMT, Russia's was upped from 18 MMT to 18.6 MMT and Ukraine's was forecast 0.3 MMT higher at 8 MMT. Wheat exports were lowered for India, Argentina and Australia. Despite corn production in Europe being raised from 66.9 MMT to 67.5 MMT in the year ahead, imports were also increased from 10 MMT to 10.7 MMT. Other much higher crop estimates out this week came from Lanworth, who put Russia's 2015 wheat crop at 59.5 MMT, and Ukraine's at 23.2 MMT. MDA CropCast fell between the IGC and Lanworth, going for 53.9 MMT and 23.0 MMT respectively. The range of estimates indicates just how unclear production prospects still are in these two countries in particular. The Russian Ministry reported that early spring grains have now been planted on 3.3 million ha, which is 1 million ha behind this time a year ago. The Ukraine Ministry said that the country has exported 28.5 MMT of grains so far this season (versus 29.1 MMT this time last year), including 9.9 MMT of wheat (vs. 8.2 MMT), 14.1 MMT of corn (vs. 18.4 MMT) and 4.3 MMT of barley (vs. 2.2 MMT). The proportion of the French winter wheat crop at the 2 node stage was pegged at 62% versus 25% a week ago and 83% this time last year. Winter barley at that stage was 90%, double that of last week, but still lower than 95% a year ago. 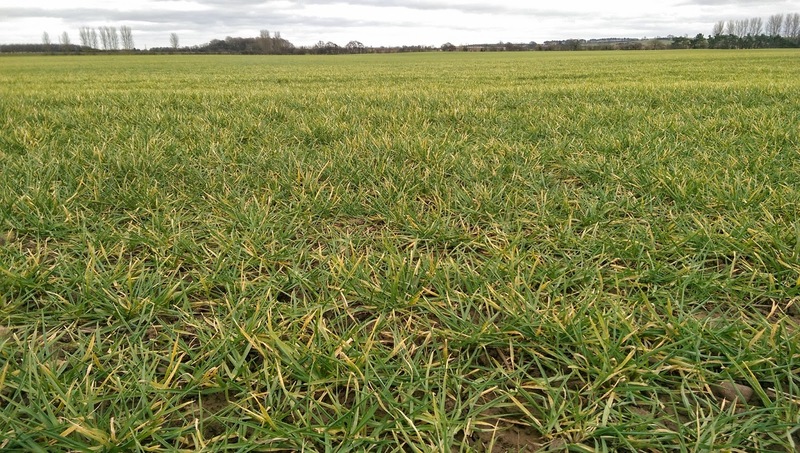 Spring barley put at the early tillering stage was 72%, the same as a year ago, They said that 57% of the French spring corn crop was now planted, similar to last year's progress. 23/04/15 -- Soycomplex: Beans closed around 7-8 cents firmer. Brazilian truck drivers are said to be caling a new strike starting today which is obviously seen as supportive for US beans. Weekly export sales of 102,100 MT were at least not the negative number that some were expecting. New crop sales of only 8.100 MT were a bearish surprise however. May 15 beans ended up 7 3/4 cents at 978 1/4, may 15 meal was up $1.10 at $316.60 and May 15 oil ended at 32.02, up 46 points. Corn: The corn market ended around 2 cents lower. Weekly export sales of 867,900 MT on old crop and 6.200 MT on the new crop were at the top end of trade expectations. Continued talk of US bird flu sapping feed demand was bearish however. The IGC forecast the global corn harvest 1.1% higher than a month ago at 951 MMT. 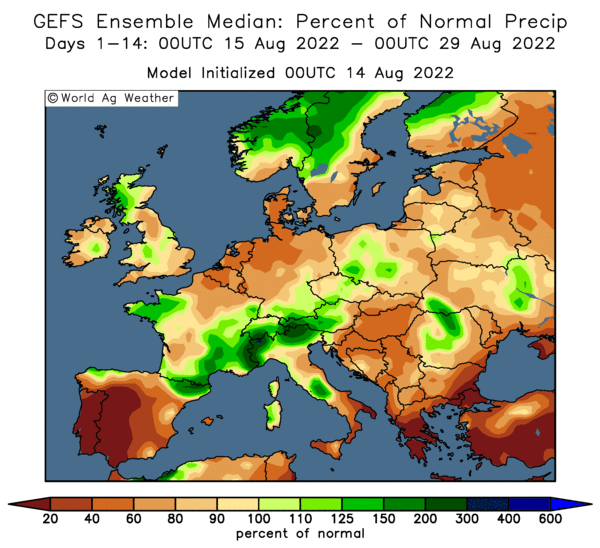 The crop in Europe will come in at 76 MMT, nearly 4% more than they estimated just a month ago, they now predict. May 15 corn ended at 370 3/4, down 1 1/4 cents. Wheat: The wheat market closed mixed. Weekly export sales of 397.500 MT were much better than last week's feeble effort. There were also new crop sales of 126,700 MT. India's 2015 wheat crop was estimated at only 87.9 MMT, down more than 8% on a year ago due to heavy rains and hail at harvest time. That would be their smallest crop since 2011. It's highly likely that quality has also been impaired, meaning that much of what is harvestable will need to be blended with better quality imported wheat from abroad. May 15 CBOT wheat closed at 497 3/4, down a cent. 23/04/15 -- EU grains closed mostly a little higher for once, with Paris rapeseed pushing on to a fresh near one year closing high for a front month. 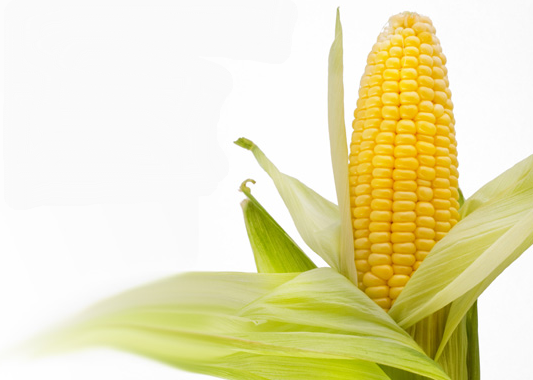 At the finish, May 15 London wheat was up GBP2.20/tonne at GBP115.30/tonne; May 15 Paris wheat was EUR1.50/tonne higher at EUR185.00tonne; Jun 15 Paris corn was up EUR0.50/tonne at EUR162.00/tonne; May 15 Paris rapeseed was EUR3.25/tonne higher at EUR378.50/tonne. Has feed wheat simply gotten to cheap? The HGCA reported that the price of imported feed wheat is now cheaper that barley for the first time since last September. It's only cheaper by GBP1.00/tonne, but nevertheless that is something of a rarity. "Despite the large UK barley crop this year, feed barley prices have stayed relatively close to wheat. 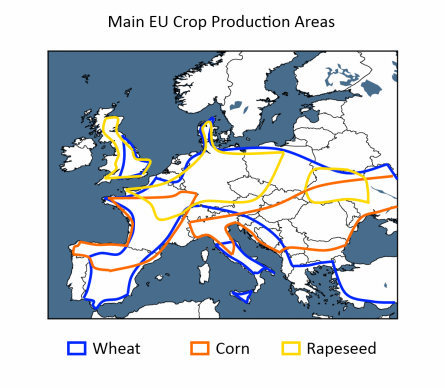 The large supply of feed wheat in the EU and export demand for barley to non-EU countries can be cited as the main reasons for this," they said. Strong demand for barley from the likes of China this season may also be a factor supporting global barley prices relative to those of wheat. Attention is now shifting to new crop prospects. Offre et Demande Agricole estimated this year's average French wheat yields at a 3-year high 7.63 MT/ha, up 2% versus 7.48 MT/ha a year ago. Recall that the French Ag Ministry estimate soft wheat plantings there at 5.179 million ha, the highest in more than two decades. Combine the two and that would give us a French soft wheat crop of 39.5 MMT this year, some 2 MMT more than last year. A significant increase given that FranceAgriMer already estimate soft wheat carryover at the end of the current season to be more than 20% higher than those of a year ago. The French continue to make a sterling effort on the export market though, aided by the weak euro. The leading French grain export hub of Rouen had a bumper week of exports again this past 7 days, shipping out nearly 250 TMT of grain. That total included soft wheat for Morocco, Thailand and South Korea, along with feed barley destined for China. The EU confirmed another week of strong exports, with 679 TMT worth of soft wheat export licences being issued, taking the cumulative season so far total to 27.1 MMT, some 9.7% ahead of this time last year. They also approved 142TMT worth of barley exports, taking the season so far total to 7.4 MMT, up 42.3% versus this time last year. 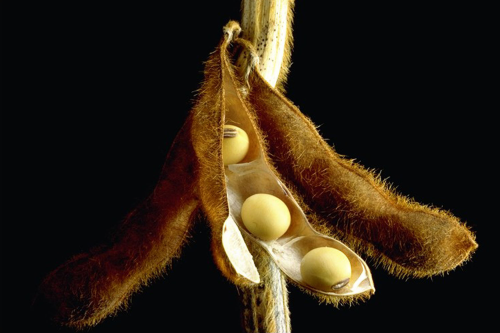 22/04/15 -- Soycomplex: Beans closed lower, with concerns over bird flu in the US rising. Another outbreak in Wisconsin among an 87,000 turkey flock was confirmed by the USDA today. The virus has also been found in 13 turkey flocks in Minnesota with at least 430,300 birds, according to Bloomberg. Millions of chickens will also be slaughtered in Iowa in an effort to contain the disease which has now been found in 16 states. Ag Canada estimated the 2015 Canadian canola crop at 16 MMT, unchanged from their previous forecast and up 0.4 MMT on a year ago. Stats Canada release their latest acreage figures tomorrow. The average trade estimate for that puts canola plantings in 2015 at 20.2 million acres, down slightly from the 2014 area of 20.325 million. Ukraine farmers have begun planting what is expected to be a record near 2 million ha of soybeans for the 2015 harvest, and are eyeing Europe as the main home for this year's crop, say APK Inform. The total EU-28 oilseeds production for the 2015/16 marketing year is expected to decline by around 9% to 32 MMT, of which soybean production is only expected to account for around 1.7 MMT. Trade estimates for tomorrow's USDA Weekly Export Sales Report are in the 100,000-450,000 MT region for beans across both marketing years, with old crop sales possibly in negative territory. May 15 Soybeans closed at $9.70 1/2, down 4 3/4 cents; Jul 15 Soybeans closed at $9.71 3/4, down 5 cents; May 15 Soybean Meal closed at $315.50, down $0.30; May 15 Soybean Oil closed at 31.56, down 26 points. Corn: The corn market closed with generally marginal losses. News of the spread of bird flu across the US was a bearish factor again today. An outbreak of another H5N2 virus in the Northeast in 1983 and 1984 resulted in the destruction of 17 million chickens, turkeys and guinea fowl, report Bloomberg. The US Energy Dept reported weekly ethanol production up 6,000 barrels/day at 930,000 bpd. That's an improvement, but below the 2015 average of over 950,000 bpd. China's CNGOIC said that the country imported just 50.6 TMT of corn in March, of which 36.1 TMT came from Ukraine and 9.4 TMT from Russia. Chinese DDGs imports last month on the other hand were nearly three times those of February at 243,000 MT. Trade estimates for the USDA Export Sales report for corn tomorrow are in the 400,000-700,000 MT range. Russian corn planting is said to be 13.3% complete on 373,000 ha so far. UkrAgroConsult estimated the Ukraine grain crop in 2015 at 53.9 MMT versus 59.4 MMT a year ago, Corn production will fall 7.3% to 24 MMT, they predict. Ukraine's corn exports in 2015/16 will come in at around 16-17 MMT versus 18.5 MMT this season, they predict. Canadian 2015 corn plantings are estimated at around 3.1 million acres in tomorrow's Stats Canada report, which is around the same level as a year ago. May 15 Corn closed at $3.72 1/2, down 1/2 cent; Jul 15 Corn closed at $3.79 1/2, down 1/2 cent. 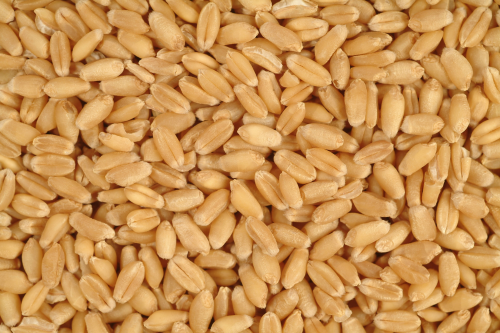 Wheat: The wheat market ended the day with small losses across the three exchanges. CNGOIC reported that China imported 152.2 TMT of wheat in March, down 71.8% on February. Canada (60.4 TMT), the US (55.6 TMT) and Australia (26.6 TMT) were the main suppliers. Barley imports on the other hand jumped 56.9% to almost 850 TMT, of which Australia (536 TMT) was the main supplier, followed by Canada (114 TMT) and France (174 TMT). Canadian all wheat plantings from Stats Canada tomorrow are forecast at 24.2 million acres versus the 2014 area of 23.835 million. UkrAgroConsult estimated Ukraine's 2015/16 wheat exports at 10.8 MMT. The Ukraine Ministry have exports this season at 11.7 MMT, so that would be a drop of 7.7%. Syria were reported to have purchased 150,000 MT of optional origin soft milling wheat, thought most likely to be from the Black Sea, at EUR216/tonne C&F, according to Reuters. Egypt were said to have bought 120,000 MT of wheat on the domestic market as part of the government's move to buy 3.7 MMT this year to go towards their subsidised bread programme. Rabobank forecast Chicago wheat prices to average $5.20/bushel in Q2 of 2015, and $5.30 in Q3. Both figures are 10 cents lower than their previous estimates in March. The trade will be hoping for better old crop weekly export sales tomorrow than the dismal 47,900 MT reported last week, with estimates for that in the 200-300 TMT region. May 15 CBOT Wheat closed at $4.98 3/4, down 2 cents; May 15 KCBT Wheat closed at $5.12, down 1 3/4 cents; May 15 MGEX Wheat closed at $5.43, down 2 1/4 cents. 22/04/15 -- EU grains closed mixed in a no news sort of a day. The session ended with May 15 London wheat up GBP0.25/tonne at GBP113.10/tonne, May 15 Paris wheat was EUR0.75/tonne higher at EUR183.50/tonne, Jun 15 Paris corn fell EUR0.25/tonne to EUR161.50/tonne and May 15 Paris rapeseed was down EUR0.50/tonne to close at EUR375.25/tonne. Rapeseed still hovers close to a near one year high, whilst London wheat still languishes close to the lowest levels seen on a front month since mid-October last year. Recent rains are said to have improved the chances of winter grains in Russia making a decent crop, with IKAR yesterday upping their forecast for wheat production there this year to 54-59 MMT. 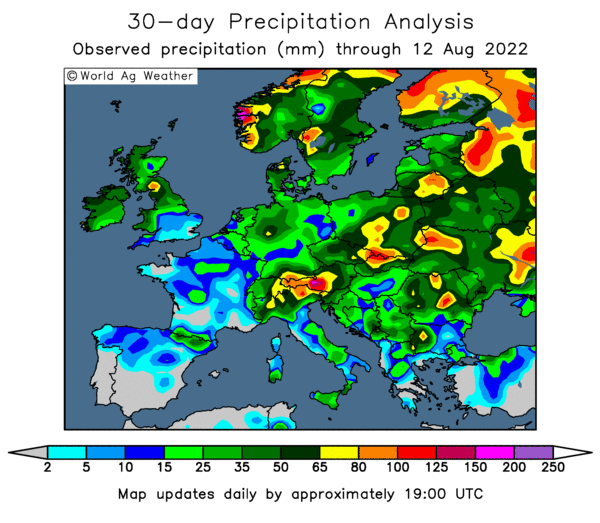 "Showers the past 30 days have increased sharply, a wide swath from central Ukraine northeastward to the central Volga District. Top wheat districts Krasnodar, Stavropol and Rostov received drenching rain, 150-200% of normal. 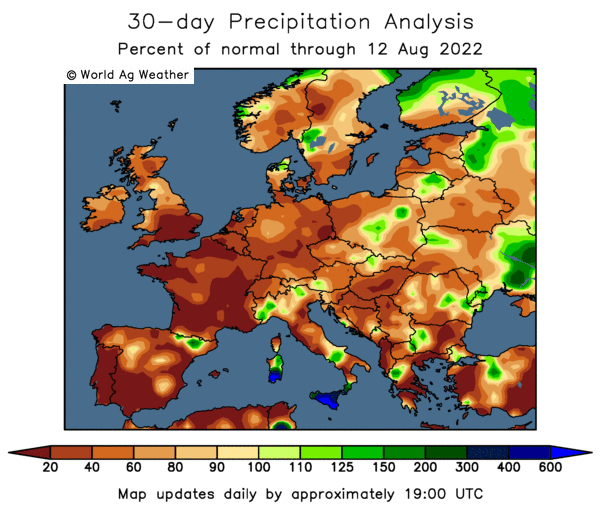 Volgograd, a lesser winter wheat district, also received strong showers," said Martell Crop Projections. The Russian government picked up almost 74 TMT of grain at intervention today, including more than 63 TMT of wheat, as farmer selling picks up in an effort to generate enough cash to fund their early spring grains planting programme. That remains behind last year's pace, with 2.8 million ha sown so far (9.1% of the government forecast) versus 3.7 million ha this time in 2014 - a shortfall of 24%. Corn planting is also lagging, at 13.3% done on 372k ha, which is 19% behind the 462k ha sown this time last year. 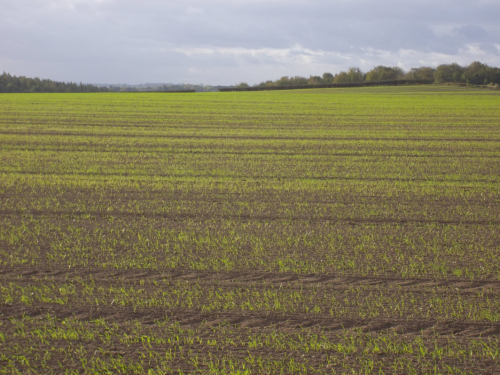 Planting of spring rapeseed is also behind schedule. How much of that is due to the recent rains, and how much is down to a general lack of cash, remains to be seen. Either way, the Russian government aren't likely to report final spring plantings at much below the levels currently forecast, even if they are. President Putin appointed himself a new Agriculture Minister today, Alexander Tkachev, described by the FT as one of his "most loyal lieutenants" - so there isn't likely to be any "boat rocking" going on there. UkrAgroConsult estimated Ukraine's 2015 grain crop at 53.9 MMT versus 59.4 MMT a year ago. They see corn output down only relatively modestly, at 24 MMT versus 25.9 MMT in 2014, with exports next season at 16.17 MMT versus 18.5 MMT in the current marketing year. The German Stats Office said that grain exports in the first 8 months of the 2014/15 season (Jul/Feb) were 10% down at 10 MMT. Exports to fellow EU countries fell from 5.5 MMT to 4.6 MMT, and those to non-EU destinations were down from 5.7 MMT to 5.3 MMT. Overall wheat exports were only down slightly year-on-year, from 6.6 MMT to 6.5 MMT. Barley exports were down 22%, from 1.8 MMT to 1.4 MMT. German grain imports were also lower in the period, down from 7.2 MMT to 6.8 MMT, although imports of wheat were 14% higher at 3.2 MMT. Syria said that it had bought 150 TMT of soft milling wheat of unknown origin, but thought most likely to be sourced from the Black Sea, paying EUR216/tonne on a cost and freight (C&F) basis. Soybeans Everywhere, But They're Not Necessarily For Sale! 21/04/15 -- Soycomplex: Beans ended with small losses. The prospect for a possible Brazilian trucker strike later in the week is supportive for old crop, where US sales have almost reached 100% of the USDA forecast for the season with more than 4 months of it still remaining. Recall that more than 92% of the USDA's 48.7 MMT export forecast for 2014/15 has already been shipped and isn't at risk of getting cancelled or carried over into next season. The market therefore remains sensitive to anything that might trigger a demand shift back to US origin. It is probably only a matter of time before Argentine truckers and dock workers eye an opportunity for a bit of industrial action themselves. Dr Cordonnier was said to have raised his forecast for the Argentine 2015 soybean crop by 1 MMT to 59 MMT, due to the exceptional yields that are being reported from what's been harvested so far. That puts him 2 MMT ahead of the USDA, although not out of line with other trade estimates. There's talk too of Brazil's crop maybe making 97 MMT eventually versus the USDA's 94.5 MMT estimate, say Benson Quinn. These figures would be all time highs for both countries. With an Argentine election coming up in October though, Bloomberg report that soybean farmers there are more inclined to hold onto as much of their inventory as possible, rather than cash it in now, on expectations that the winning candidate will devalue to Argentine peso. Argentine farmers are said to have bought enough silo bags, the common on-farm storage solution there, to store 50 MMT of soybeans this year. Could it be that the world is awash with soybeans in 2015, it's just that many of them aren't actually for sale? May 15 Soybeans closed at $9.75 1/4, down 2 1/4 cents; Jul 15 Soybeans closed at $9.76 3/4, down 2 3/4 cents; May 15 Soybean Meal closed at $315.80, down $2.70; May 15 Soybean Oil closed at 31.82, up 23 points. Corn: The corn market closed with losses of around 4-5 cents. Reports of a bird flu outbreak at a farm in Iowa with a flock of more than 5 million chickens was seen as bearish. "Additionally the governor of Wisconsin declared a state of emergency and called in the National Guard to help curb the spread (of the disease) in their state," said Benson Quinn. Dr Cordonnier was said to have increased his forecast for the Brazilian corn crop by 2 MMT to 77 MMT versus the USDA's 75 MMT estimate, citing increased usage of superior hybrid seeds, He also upped Argentina by 1 MMT to 24 MMT, which now puts him in line with the USDA. 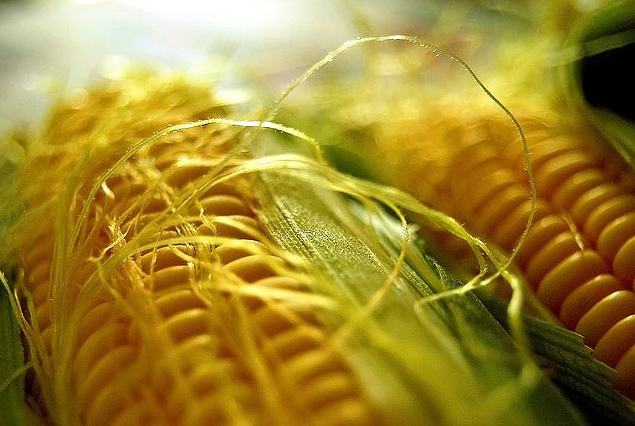 The Argentine government were said to have authorised a further 3.5 MMT of corn for export. That adds to the 8 MMT that they've already cleared, as confidence grows in the size of this year's crop. Spain were said to have imported 552.6 TMT of corn in February, a 35.2% increased versus Feb 2014. Ukraine was the top supplier, with 262.1 TMT, followed by France at 122.1 TMT. Ukraine farmers are said to have planted 215k ha of corn so far this spring, or around 5% of the official Ministry forecast. Corn planting is also now underway in southern Russia. China released an official ten year Agricultural Outlook for 2015-2024, similar to the USDA's baseline projections. They said that they don't expect China's corn imports to rise above 7.2 MMT between now and 2024 as long as their domestic stocks remain adequate. Chinese corn planting is forecast to rise 1.9% this year, with production officially estimated at close to 220 MMT (record) versus 215.7 MMT last year. The state are said to be looking to continue to build on their vast corn reserves again this season. Meanwhile, weather conditions are said to have rapidly deteriorated in the Midwest, turning sharply colder. "The 7-day temperature outlook is very cold, indeed, 12-15 F below normal. Rainfall in the upcoming weeks is predicted to be less than average, especially the Upper Midwest," said Martell Crop Projections. May 15 Corn closed at $3.73, down 5 cents; Jul 15 Corn closed at $3.80, down 4 3/4 cents. Wheat: The wheat market closed higher on all three exchanges. Last night's unchanged US winter wheat crop ratings may have prompted a bit of short-covering, with the average market guess being for a 2 point increase in the good to excellent category. Ag Canada cut their forecast for the Canadian all wheat crop slightly, down from 29.6 MMT to 29.5 MMT. They see exports in 2015/16 at 22.4 MMT versus 22.9 MMT this season, and forecast ending stocks falling to 4.4 MMT from 6.2 MMT at the end of 2014/15. A Bloomberg survey estimated the EU all wheat crop at 147.7 MMT, from within a range of estimates of 146.2-149.5 MMT, down 6% on last year's record. The German crop is seen falling 7.2% to 25.8 MMT, although production in France will rise 2% to 39.8 MMT, the survey found. Production in Eastern European countries is generally forecast lower pretty much everywhere. Ukraine raised their forecast for 2014/15 grain exports by 1 MMT to a record 36.8 MMT, including 11.7 MMT of wheat. They said that early spring grains had been planted on more than 2 million ha, consisting mostly of barley (1.52 million ha). Russian early spring grains have been sown on 2.6 million ha, or 8.5% of the official Ministry forecast. IKAR estimated the Russian 2015 wheat crop at 54-59 MMT, and said that domestic prices for 12.5% milling wheat on an FOB basis had fallen $14/tonne in the past week as Russian growers bite the bullet and are forced into selling the old crop stocks that they hold to generate cash to fund spring plantings. For all the government assurances that cheap subsidised loans are available to Russian farmers to enable them to purchase their spring planting needs, the boots on the ground suggest that this is far from the case. Loans are very hard to get, and interest rates are sky high. Sellers are demanding cash on delivery for inputs such as seed and fertiliser. The Grains Industry Association of Western Australia says that wheat plantings in the country's top producing state may decline 2-3% this year. Barley production seen similar to previous seasons. May 15 CBOT Wheat closed at $5.00 3/4, up 2 cents; May 15 KCBT Wheat closed at $5.13 3/4, up 1 1/4 cents; May 15 MGEX Wheat closed at $5.45 1/4, up 6 1/4 cents. 21/04/15 -- EU grains closed mixed, but generally more in the red than in the green. London wheat was lower across the board, with old crop taking the biggest hit, widening the gap between May 15 and Nov 15 to GBP11.50/tonne. The day ended with May 15 London wheat down GBP1.70/tonne at GBP112.85/tonne, May 15 Paris wheat closed unchanged at EUR182.75/tonne, Jun 15 Paris corn was EUR0.75/tonne lower at EUR161.75/tonne and May 15 Paris rapeseed was flat at EUR375.75/tonne. Front month London wheat has now only managed to post a net daily gain twice since Easter. Large volumes of old crop in store are weighing on the nearby months. The forwards are now getting dragged down into the mire as the arrival of new crop draws ever closer, even if the premium to be had for that position is historically high. Nevertheless, Nov 15 London wheat is still down around GBP10/tonne in the past month. A Bloomberg survey estimated the EU-28 soft wheat crop at 140.1 MMT, down 6.2% from a year ago. All wheat production was pegged at an average guess of 147.7 MMT, a 6% decline on last year's all time high, although still the third highest on record. The French all wheat crop was estimated at 39.8 MMT, up 2% on a year ago, from within a range of trade guesses that were 39.1-41.0 MMT. The German crop was estimated at an average 25.8 MMT, down 7.2% versus last year. The range of guesses for that were 25.3-26.7 MMT. Russian spring grains are now said to have been planted on 2.6 million ha, or 8.5% of the official Ministry forecast. That's a little bit behind last year's pace when 2.9 million ha had been sown, with cold weather said to be hampering early progress. They said that only 58% of winter grains had had a fertiliser application so far this spring. IKAR forecast the 2015 Russian wheat crop at 54-59 MMT, up from a previous estimate of 52-57 MMT. They said that Russian 12.5% milling wheat was now offered at $193/tonne FOB the Black Sea, that's down $14/tonne in a week, as farmers there are pressed into selling to finance their spring plantings. They are now faced with the stark task of having to absorb the hefty Russian export duty themselves in order to make their wheat competitive on the international market. In Ukraine, early spring grains have been planted on more than 2 million ha, or 88% of the Ministry forecast. That includes 1.52 million ha of spring barley and a small area (134k ha) of spring wheat. Corn planting in Ukraine is also now underway, with 215k ha, or 5% of the Ministry forecast, now sown. Farmers there have also so far sown 661k ha of sunflowers, or 15% of the Ministry target. The Ukraine Ministry say that 90% of winter grains have so far had a spring fertiliser application. They went on to forecast 2014/15 grain exports at a record 36.8 MMT, up 1 MMT from their previous estimate. That includes 11.7 MMT of wheat, 4.3 MMT of barley and 20.1 MMT of corn. Exports so far this season are at 27.7 MMT, so if the forecast proves to be correct then there's still a further 10 MMT or so of Ukraine grain left to come onto the international market. In other news, Spanish customs data shows that the country imported 219.4 TMT of wheat in February, a 4.4% increase on the same month in 2014, along with 552.6 TMT of corn, a 35.2% increase. The main provider of the wheat was France at 108.9 TMT, followed by Russia (26.5 TMT) and Ukraine (26.7 TMT). The latter country was the top seller of the corn shipped into Spain, accounting for almost half with 262.1 MMT. France was second at 122.1 TMT. 20/04/15 -- Soycomplex: Beans closed higher on talk of another round of Brazilian trucker strikes/blockades being on the way, possibly as early as the end of the week. News that China had cut bank reserve rates in an effort to stimulate the economy there was also seen as positive. Weekly export inspections were modest though at 147,939 MT versus 450,365 MT the previous week. Still, the fact remains that 45 MMT of the USDA's export forecast for the entire season of 48.7 MMT is already shipped and gone. Only 31,614 MT of this week's export inspections were headed for China, but according to last week’s export sales report unshipped sales to China were only 185,000 MT so this is not an unexpected drop-off, noted Benson Quinn. The USDA haven't yet started reporting on soybean planting progress on a national level. Some southern states are reporting individually though, with Arkansas at 11% done versus 12% on average. Missouri is 32% complete versus 24% on average and Louisiana is 16% planted versus 27% typically at this time. Oil World said that world soybean production in 2015/16 will fall for the first time in 4 years. They see the US crop at 104 MMT, with production in Brazil at 92 MMT and Argentina chipping in with 57 MMT. May 15 Soybeans closed at $9.77 1/2, up 8 3/4 cents; Jul 15 Soybeans closed at $9.79 1/2, up 8 cents; May 15 Soybean Meal closed at $318.50, up $3.50; May 15 Soybean Oil closed at 31.59, up 7 points. Corn: The corn market ended 1-2 cents easier despite robust weekly export inspections in excess of 1 MMT, which were above trade estimates of 750-850 TMT. Cumulative season to date inspections are now 55% of the USDA estimate for the season, which is still more than 5 points behind the average for this time. The USDA reported US corn planting at 9% complete on a national level, up 7 points on a week ago, but still 4 points behind the 5-year average. "Weather conditions last week were exceptionally warm raising soil temperatures above the 50 F threshold for corn germination. Producers have begun planting on a wide scale," said Martell Crop Projections. However "a sudden shift in the weather is underway in the Midwest, where much cooler temperatures are predicted this week, some 5-10 degrees below normal," they add. Corn planting is most advanced in TX at 51% (but down compared to 59% for the 5-year average), NC at 40% (versus 54% normally) and KS at 23% (19% on average). Sorghum planting is also a little behind schedule at this early stage, with 19% of the crop in the ground versus 22% for the 5-year average. Ukraine said it had exported 27.7 MMT of grains so far this season, of which 13.42 MMT was corn. Ukraine seaports exported just under 300 TMT of grain last week, of which almost 75% was corn as they now major on that particular grain. Spain's corn crop is seen falling more than 5% this year to 4.23 MMT. Poland's corn crop will fall slightly, down 2% to 4.4 MMT, according to the USDA's FAS in the country. May 15 Corn closed at $3.78, down 1 3/4 cents; Jul 15 Corn closed at $3.84 3/4, down 2 cents. Wheat: The wheat market closed higher on all three exchanges. This may have been down to short-covering and profit-taking, with fund money revealed to be sitting on a record large short position in CBOT wheat on Friday night. Fundamentally though, nothing much has changed. The USDA left winter wheat crop conditions entirely unchanged from a week ago at 19% poor/very poor, 39% fair and 42% good to excellent. Some were looking for an improvement (the average estimate in a Bloomberg survey was 44% good to excellent), although the crop maybe hasn’t had enough time to show the benefits of rains late last week, suggested Benson Quinn. Winter wheat was 16% headed, up 10 points from a week ago and one ahead of the 5-year average. Spring wheat planting was said to be racing ahead well, at 36% done versus 17% a week ago, 19% for the 5-year average and only 9% complete this time last year. WA is already 88% complete versus 57% normally and SD is 73% done compared to only 31% typically at this time. Canada reported wheat exports (excluding durum) up 4.5% so far this season at 11.1 MMT. Durum exports are up 23% at 3.7 MMT. Egypt bought 300 TMT of a mixture of French, Russian and Romanian origin wheat over the weekend. Bangladesh bought 50 TMT of French wheat. Jordan are tendering for 100 TMT of optional origin wheat for Dec/Jan shipment. IKAR were said to have raised their forecast for the 2015 Russian wheat crop from 52-57 MMT to 54-59 MMT. There's talk of Russia looking to come up with some way of reducing the keenness of some trading houses to aggressively sell grain for export, to the detriment of domestic needs, without giving any specifics of how they might do this. May 15 CBOT Wheat closed at $4.98 3/4, up 4 1/4 cents; May 15 KCBT Wheat closed at $5.12 1/2, up 3 1/4 cents; May 15 MGEX Wheat closed at $5.39, up 6 1/4 cents. 20/04/15 -- EU grains closed mixed to start the week, with Paris markets generally firmer, and London wheat lower as the pound rose versus the euro. At the finish, May 15 London wheat was down GBP0.75/tonne at GBP114.55/tonne; May 15 Paris wheat was unchanged at EUR182.75/tonne; Jun 15 Paris corn was down EUR0.25/tonne at EUR162.50/tonne; May 15 Paris rapeseed was EUR1.75/tonne higher at EUR375.75/tonne. For London wheat this was the lowest close for a front month since 13 Oct last year. In contrast it was the highest close for a front month on rapeseed since the May 14 contract went off the board on the last day of April 2014. The reason for the latter may have been FranceAgriMer forecasting French 2014/15 ending stocks at just 83 TMT on 30 Jun. French exports in the current season were raised from 1.275 MMT to 1.36 MMT. Egypt's GASC took advantage of the recent price drop, buying 300 TMT of wheat over the weekend, consisting of three 60 TMT cargoes of French material and one each of Romanian and Russian origin for June 5-15 shipment. The prices paid were between $219.50/tonne to just over $223/tonne on a C&F basis. The cheapest origin was France, which was pitched at around $206.00-208.50/tonne FOB, with Romanian wheat at $212.50/tonne and Russian origin just shy of $214.00/tonne. Although the Russian material was the dearest, on both an FOB and C&F basis, it was interesting nevertheless to see it booked and in the ballpark given the hugely punitive export duty that exists for that period. Bloomberg reported that the Russian Ministry are looking at ways to "eliminate (the) inordinate appetite of a number of grain traders and their patrons” from aggressively exporting Russian grains, prioritising domestic needs first. Bangladesh were also said to have bought 50 TMT of French origin wheat in a tender, whilst Pakistan purchased 40 TMT of Ukraine rapeseed. Jordan are tendering for 100 TMT of wheat for Dec/Jan shipment. APK Inform said that Ukraine's seaports exported 299 TMT of grains last week, down from the near 450 TMT shipped out the previous week. Corn accounted for 74% of last week's volume (221.7 TMT), with wheat the remaining 26%. The Ukraine Ministry said that the country had now exported 27.7 MMT of grains this season, including 13.42 MMT of corn, 9.83 MMT of wheat and 4.26 MMT of barley. Russian seaports exported 203 TMT of grains last week, down from the near 329 TMT shipped out the week prior to that. Last week's volume included 142.2 TMT of wheat, 24.5 TMT of corn and 36.1 TMT of barley, APK Inform said. Agritel said that new crop grain prices FOB the Black Sea are less than $200/tonne for 12.5% milling wheat, with barley around $20/tonne cheaper than that and corn a further $10/tonne below those levels. That's the equivalent of circa GBP134/tonne for the milling wheat, under GBP120/tonne for barley and less than GBP114/tonne for corn. The price differential between old and new crop London wheat remains historically high at over GBP10/tonne, providing those many carrying old crop with something of a "comfort blanket" that they are doing the right thing. "Is the UK feed wheat market at risk of carnage?" the HGCA asked last week. With "how much wheat do farmers have to move before harvest" being the big question. Storage and/or cash flow problems could yet force farmers still carrying old crop stocks to sell the majority of the surplus prior to the arrival of new crop, they muse. That could put nearby levels under further pressure yet, until they get to such a discount to new crop that those with storage can no longer say no, and step in to take advantage of the large carry on offer. The alternative scenario, the HGCA highlight, is one where shorts want/need to buy old crop to cover their requirements, bringing nearby levels up to closer to a more normal differential to new crop. The former case is probably a more likely guess as to have things might ultimately pan out than the latter at this stage though. It's currently quite difficult to see support for old crop coming from genuine end-users as we enter what is traditionally a low demand for feed time of the year. Meanwhile, one trader I spoke to yesterday told me that full spec milling wheat premiums in his area were down from around GBP50/tonne in January to more like GBP30/tonne in April. Spain said that it would harvest 10.7% more soft wheat this year at 6.19 MMT. Although plantings are virtually identical to a year previously, yields are seen rising from less than 3.0 MT/ha to over 3.3 MT/ha. Spanish barley production meanwhile will leap almost 24% to 8.34 MMT. Spain of course are traditionally one of the UK's big export homes. Finally, the USDA's FAS in Poland estimated their wheat crop down 8.6% at 10.6 MMT this year, with exports in 2015/16 falling nearly 13% to 2.7 MMT. 20/04/15 -- Our old mates "the funds" were sitting on a record large short position in Chicago wheat as of Tuesday night, Friday's Commitment of Traders Report reveals (click on image to enlarge). I know I've mentioned this sort of thing before, but in my defence not for a while I haven't! The image shows the relationship between fund length, or otherwise, and price. Even Stevie Wonder can see that there's a clear correlation. Not that the regulators would agree, for every buyer there must be a seller and vice versa, so how can their actions influence price? They are only providing much-needed market liquidity etc, etc. Bless the little lambs, and thank them heartily for the liquidity that they are undelfishly providing for you Mr Farmer when you say your prayers tonight. The only plus side to all of this (yes - believe it or not there is one) is that you will notice that the last few times they've been anything like this short, something gets them spooked and they all exit their positions en-masse. This then causes a sharp and sudden upside price correction, as eager buyers rapidly outnumber willing sellers. 20/04/15 -- The results of Mike Lee's Ukraine/Russian crop tour are nestling under the heading "strictly confidential" in my inbox and make very interesting reading indeed. 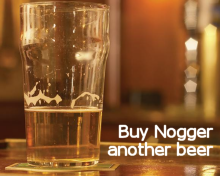 If you bothered to cough up the relatively small amount of money required to sponsor him that is. Still, if you didn't it's still not too late, for a dirt cheap minimum contribution of GBP75, EUR100 or USD115 he'll send you a detailed copy of his findings via email and/or from a downloadable link. It may not surprise you to hear that things don't tie up too closely with the official crop ratings from the various associated Ag Ministries in either country if you are prepared to put the miles in and actually get out there yourself. The tour covered almost 5,000 km of the main winter crop areas of Ukraine and Russia and essentially looked at the condition of small grains and rapeseed. There's also a precis of the vibe among various farm managers and industry personnel that they met along the way, regarding their take on crop conditions, the outlook for the rest of the season and how true the reports of lack of credit are. A June tour is now being planned to see how these crops look then, and also to have a peek at spring sown corn and sunflowers.